Graphic design templates and illustrations for parties, showers, birthdays, holidays and kids. I’m so excited my girls are headed back to school! Don’t get me wrong, I look forward to the lazy days and fun activities summer brings, but after several months I am ready to get back into a routine, have some peace and quiet of my own and just get stuff accomplished!! 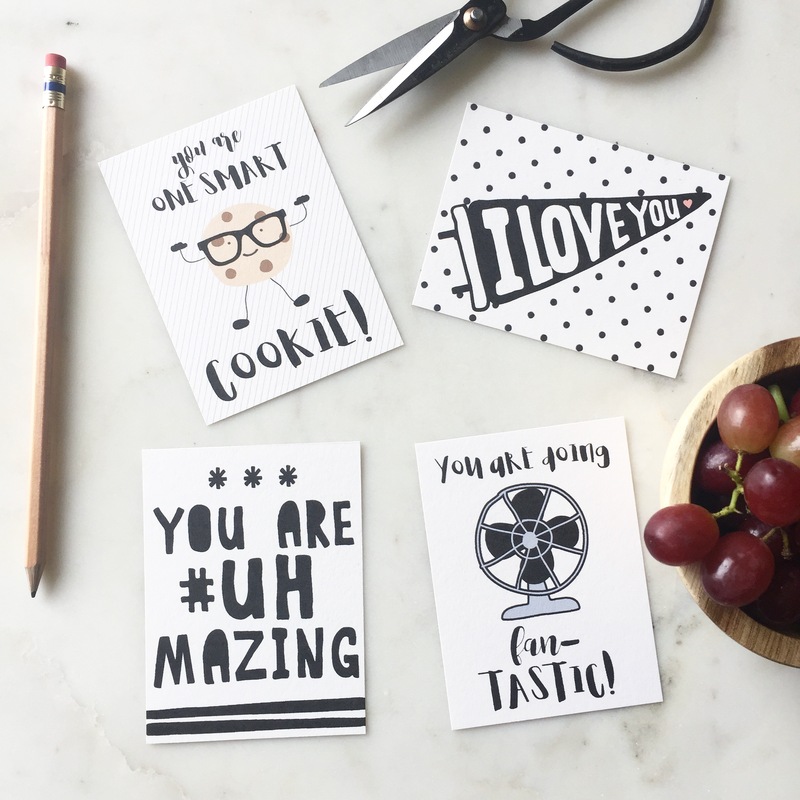 My girls have come to expect a new set of lunch notes every school year so I’m sort of on the hook to create some new ones every year it seems (check out the freebies section for more designs!). Personally, they are one of my favorite things I get to create. They are relatively simple, sweet and lend well to my personal casual design style. And if they put a smile on my kiddos faces, then it’s all worth it! The reason why I have finally surfaced after so many months is that I have a FREEBIE that I want to offer and I think it’s a good one! Mother’s day is just over a week away and I had an idea for a card. Does anyone else feel they got lucky in the Mom department? I certainly do. 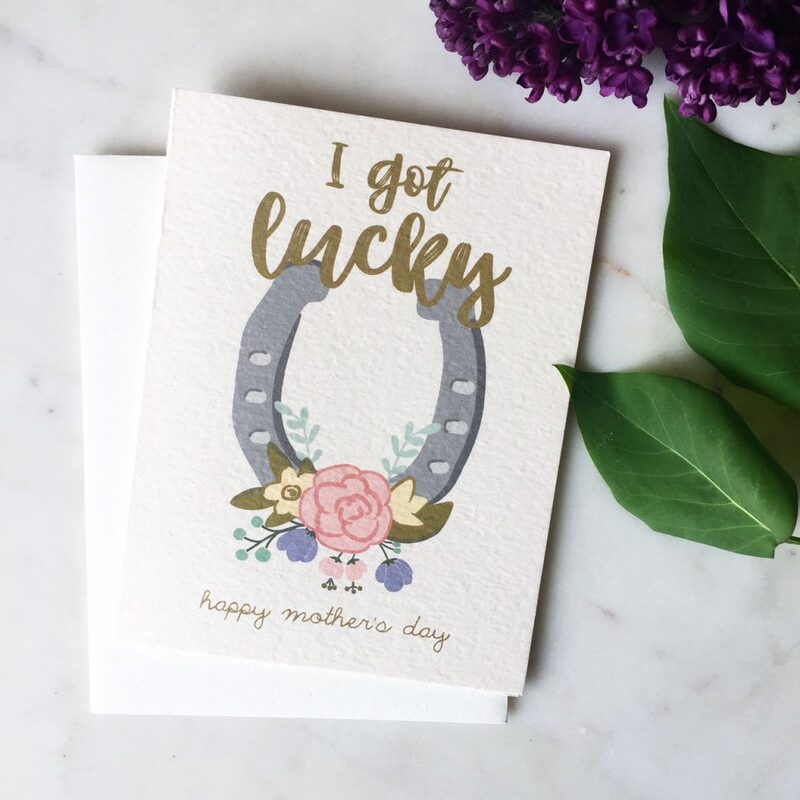 I got lucky with my Mom, I got lucky with my Stepmom AND I got lucky with my Mother-in-Law. How I got so lucky, I don’t know. But I am certifiably grateful for such blessings. If you feel as I do, this free Mother’s Day card is PERFECT! Just click here, download, and print. Voila! Mother’s Day is in the bag! Christmas Lunch Box Note Freebie! We are in full on holiday mode over here! We have decorations up, gingerbread house is decorated, we’ve done santa photos, Steve the Elf has arrived, Advent calendar is stocked and this morning we are off to pick out our tree…I’m exhausted already and it’s only December 2nd!!! Actually, I’m still enjoying the joy of the season and love seeing how excited my girls get with every tradition. They are at the perfect ages right now (8 and 6) and I want to soak up every moment of this age because I know it won’t last forever. I hope your holiday season is magical! 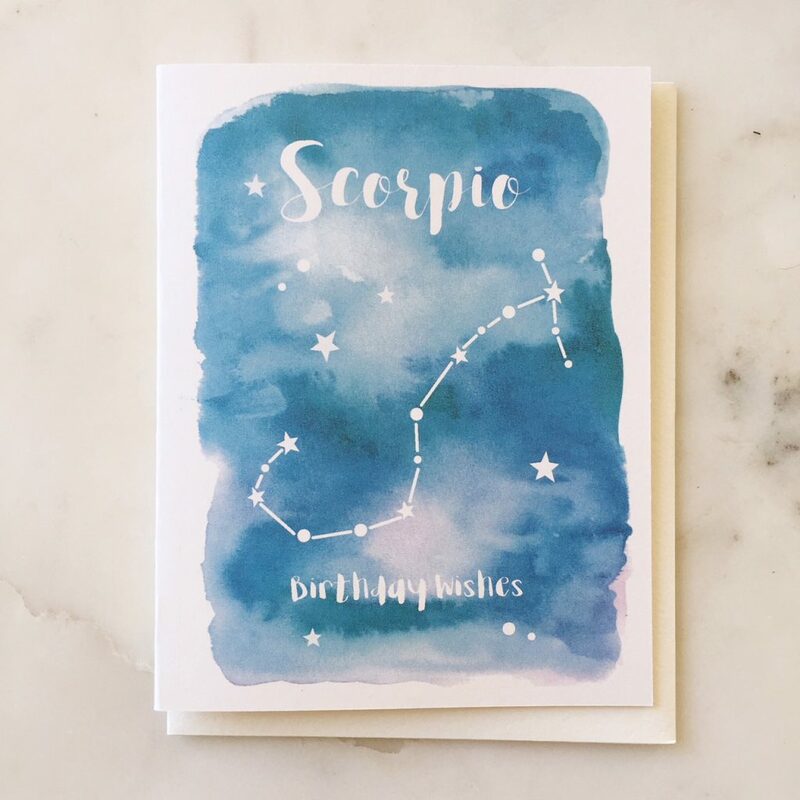 Scorpio Birthday Card – Free Printable! The school year started by storm with soccer, homework, school events and field trips, conferences, etc., etc. And every year I think I am going to have all of this time to sit at my computer to create and add more to my Frella Etsy store, (There’s a new super cute fall recipe card available!) but it never happens. I do add a few things here and there, but what I really want to do is grow and expand my little shop in to something bigger. Faster. That said, my husband and I are do-it yourselfers and would rather do everything ourselves before paying someone to take care of something for us. More or less because we have the mindset that if it’s easy enough to do yourself and our parents did it, then we should too. No house cleaners, nanny, gardeners or repair man for this household! How do all you boss women do it? I am truly in awe of how some of you have your St*…uff together and get so much accomplished. There has to be a sacrifice somewhere, right? I digress now! Back to the purpose of this post. If you have a Scorpio in your life that requires some birthday wishes, you can download and print this little number for free! Just click here for the download!! Happy Fall Y’all! It’s my goal this year to create one horoscope card each month and end up with a collection at the end of the 12 months. At the end of the month is my husbands birthday and I thought I might as well start now! I’m one down 11 to go! 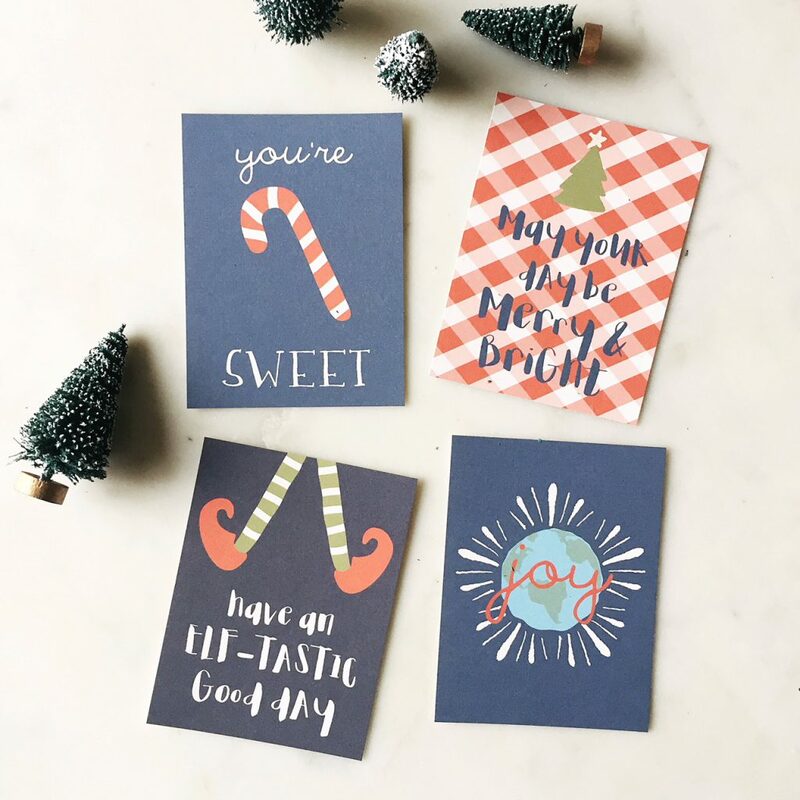 Each month I’ll post the free download here on the blog and then after each month, they will be available on my Etsy shop for purchase..still only $2.50 for the digital file, so either way it’s a good deal! 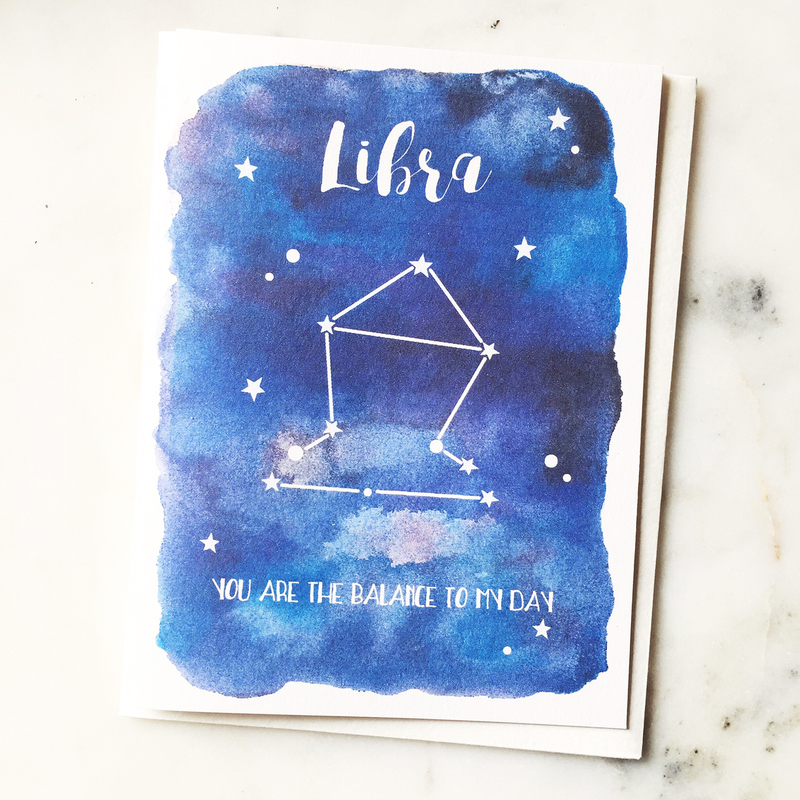 Click here to download this card for your Libra friends! Hi There! I hope summer has been a fun one – I’ve been quiet for a while because I have been busy with the family doing all things summer. It’s been fun, but I will admit that I am starting to feel that need for some routine again. I’m not ready just yet though. But I have been gearing up for the school year to start and created another fun set of lunch notes to pack in your kiddos lunches. This year I really tried to make it gender neutral – I have two girls so I tend to go on the girlie side 😉 At the beginning of the year I try to print out and trim a load of the notes to have a stash on hand so I can quickly write something personal on the back each morning. 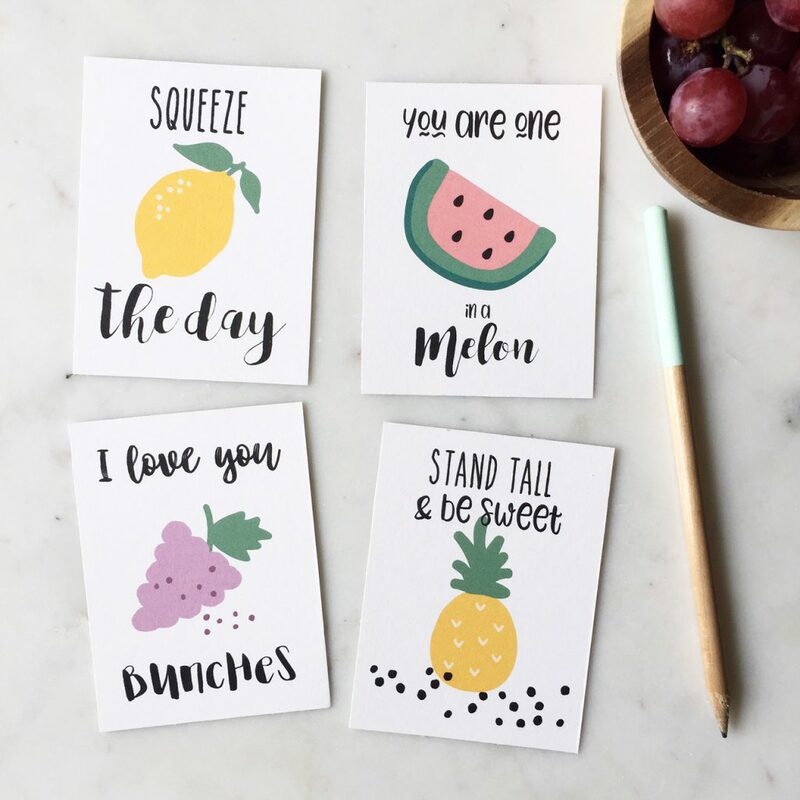 At the end of last year, I thought my girls weren’t reading them and didn’t care if I put them in their lunches anymore, but I quickly got an earful 😉 Check out the other lunch note sets in the freebies section! Click here to download this years. I can’t believe it’s Father’s Day in just a few days! It’s been a whirlwind of activities around here with all of the end of the year hoopla, 40th birthday celebrations, friends moving away and then there is this darn cold I have…no fun! As usual, I am putting together a last minute card and then hopefully I can save someone else a last minute trip to the store by offering a free printable! Click here for the download 🙂 Or visit my Frella Etsy Shop for a few other instant downloads! If your husband is anything like mine, he can fix anything. I mean anything!!! I kid you not, he will 3D print an obscure part if he can’t find it in the store, just so he can fix, retrofit, or improve something. Sometimes I wish we could just hire someone, but then it’s also what I admire most about him. He never throws his hands up and says he can’t do it. He gets in there and figures out a way. And even our two girls have long learned that Baba (greek for Dad) can and will fix everything. He has fixed many a faulty toy wiring, had just the right glue for a broken ear, tail or leg and 3D printed a lost doll pacifier. He truly is amazing, but the most admirable is the way he can wipe those little tears right off their faces when he tells them he can fix their favorite toy. 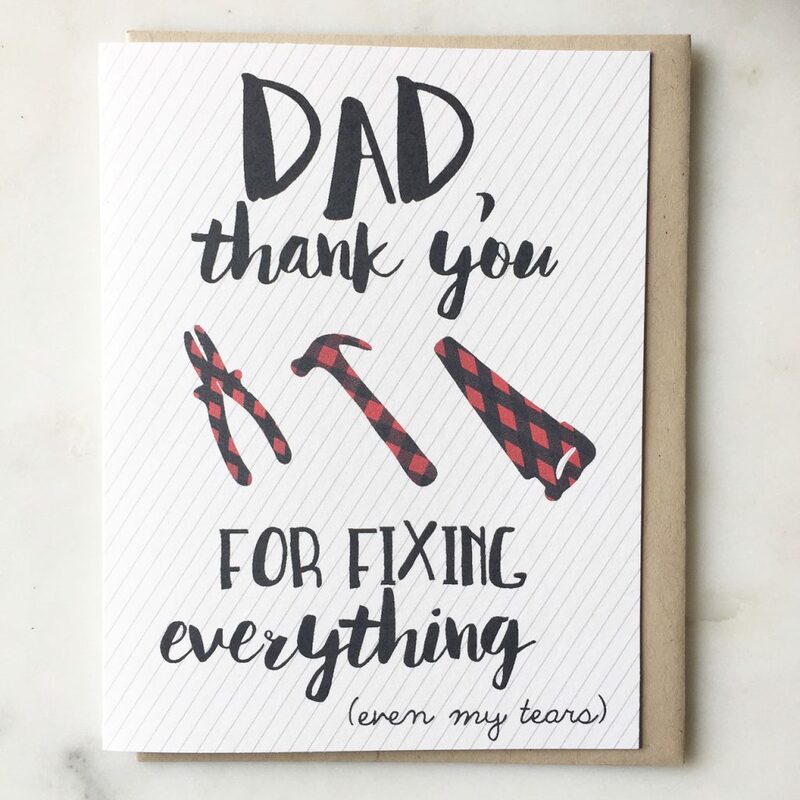 Here’s to the amazing dads out there who fix life’s little (and big) problems! We love appreciate all that you do! 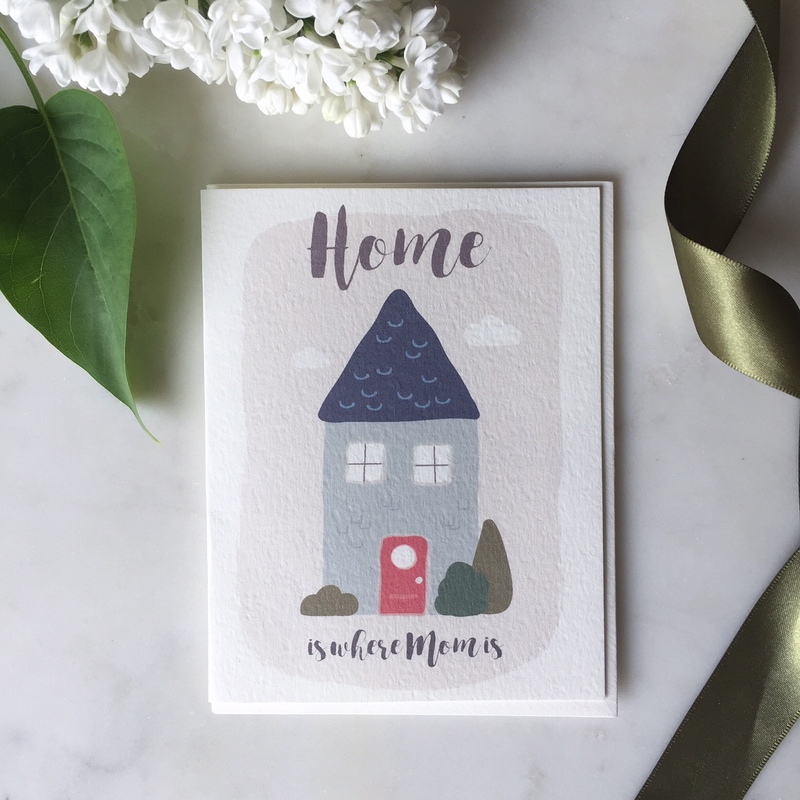 Just in the nick of time I pulled this Mother’s Day card together and to offer you a free printable (Click Here to download). Just in case you are doing this last minute like me! 😉 I’m going to hold out my honesty card here for a sec. 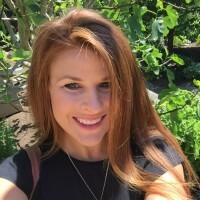 I don’t know if you are like me, but every Mother’s Day I struggle with wanting to just take the day off and coast the whole day…because let’s face it…as mother’s that’s near impossible even if your husband “takes over” for the day. My husband can be in the kitchen, and I am some where else in the house, and my girls will yell out in the house if I can get them a snack. Really?! Back to my original point of wanting to take the day off…I also have Moms that have put in their time and more than deserve to be celebrated beyond measure. They have been at this waaaay longer than I have! Buuuut….I. AM. TIRED. What do I do? Throw on my big girl pants and put something together for the amazing Moms in my life or coast and hope that they understand this time around? In the mean time, I am popping this card in the mail. And my sentiments are true. Where ever your Mama is, it feels like home. All is right in the world. Thank you to all of the inspiring Moms that have come before me and set the bar high. We can only scratch the surface to express our gratitude for the countless sacrifices made and always having that soft spot to land when times are tough. Thank you Mom! Teacher Appreciation “Recipe” Card…Free Printable!! If you are rushing to find a little gift for your kid’s teacher, I’ve got a little something to save your bacon. I put together a little package for both my girl’s teachers this year. It’s small, sweet, personalized and best of all, easy to do! 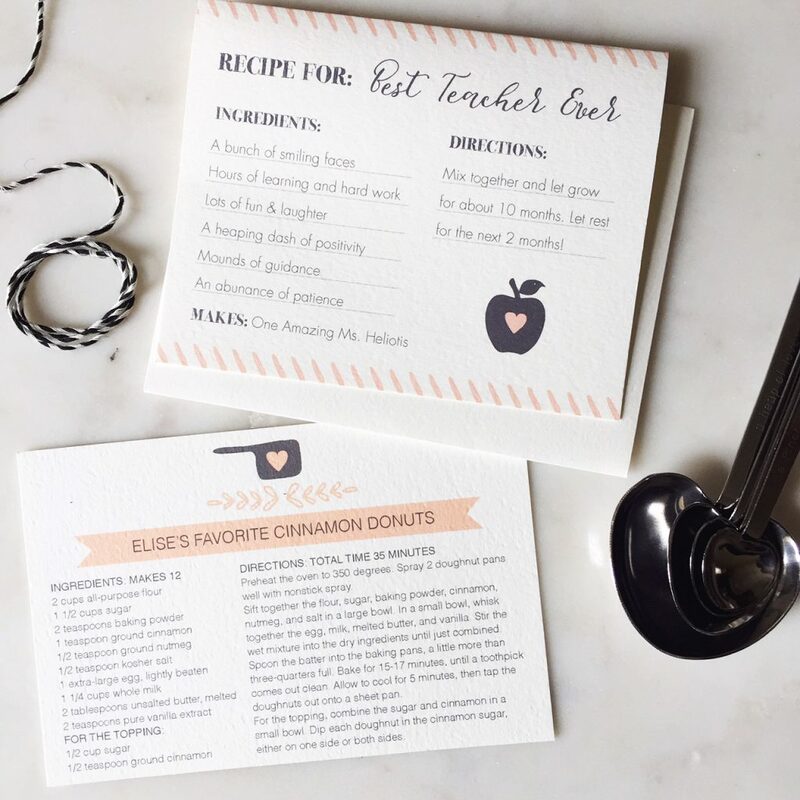 Just click here to download the free teacher appreciation card that, pair it with one of my instant download and editable recipe cards in the Frella Design Etsy shop and pick up a little kitchen tool such as the heart measuring spoons you see in the picture (Amazon! ), but anything will do. I added each of my daughter’s favorite treat recipe to give to their teacher to make it personal to each of their teachers. Oh man have I been lacking creativity and motivation lately. I don’t know what it is, but I’m hoping I get out of my slump soon. I’ve been meaning for over a month to post about my daughter’s unicorn birthday party details (check my Etsy shop for the super cute invitation). I’ll get to it soon I promise! But in the mean time, I’ve come up with another free printable for you all. 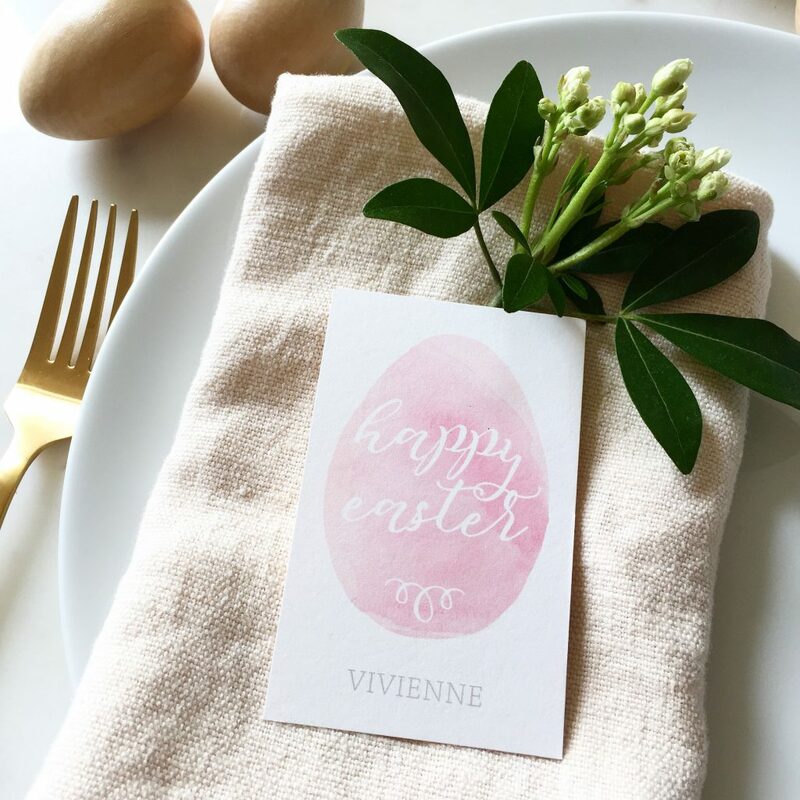 Easter is just days away…really not sure how or when that happened…and I am hosting this year and I always think it’s fun to come up with a new name card design for the table. Design? Love. Baking? Love. My family? L.O.V.E. !